Tess is, quite frankly, a bit of a mess. She’s been living in the shadow of her beloved twin sister ever since the “incident”. Tess’s sole goal in life is to see her sister set up well with a good and loving husband - once that is accomplished, though, Tess sees very few options for her future beyond becoming a nun or a permanent nanny for her nieces and nephews. 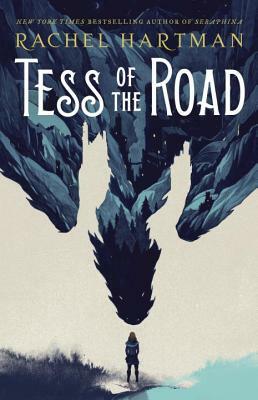 Her older sister, Seraphina, has better ideas for her future - through some gentle nudging and a very nice pair of boots, Tess turns to a life on the road with her small reptilian friend, Pathka. This is a very good book to recommend to teenagers who might be dealing with rejection, or feel they have made an irreparable mistake - as Tess discovers, the solution is sometimes simple: just keep walking.